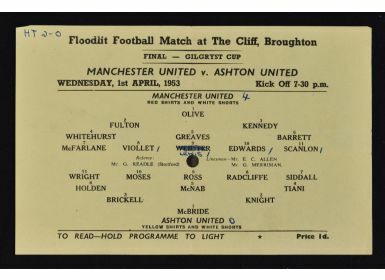 Scarce 1953 Gilgryst Cup Final Manchester United v Ashton United football programme single sheet ‘Hold programme to light’ dated 1 April 1953 at The Cliff, Broughton (United training ground) with a 7.30pm kick-off floodlight match. 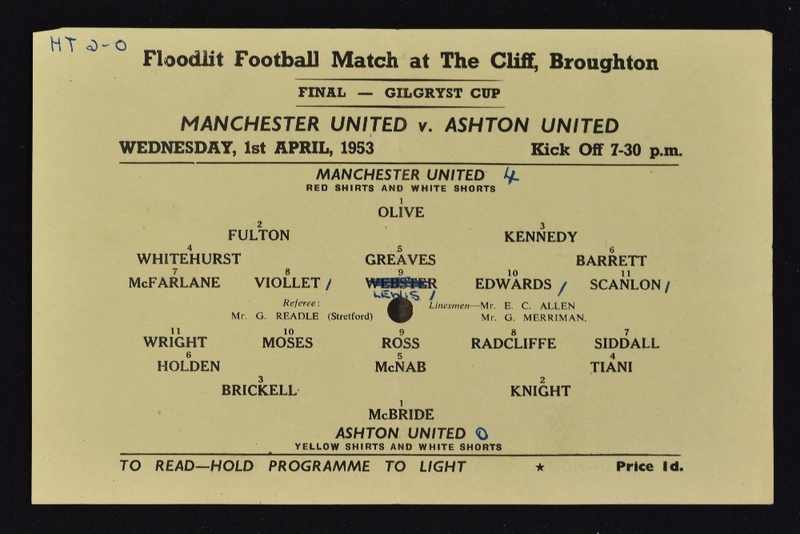 Score penned in, United won 4-0 with goals from Duncan Edwards (1 goal), Denis Viollet (1 goal), Eddie Lewis (1 goal), Albert Scanlon (1 goal). Good.